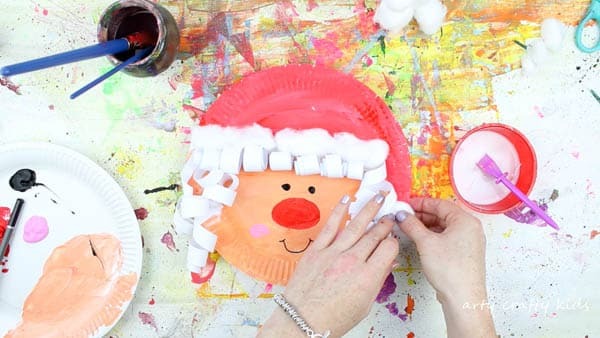 With our Christmas crafting in full swing, we’ve been making paper plate Santa’s, Rudolph’s and even Elves. However, in my search for further inspiration, I noticed that Mrs Claus is hugely unrepresented and virtually non-existent within the kids’ crafts arena. 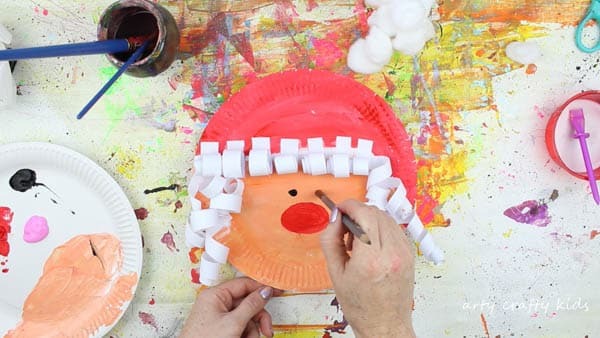 Today, I have the pleasure of changing that, with a super cute Paper Plate Mrs Claus Christmas Craft! 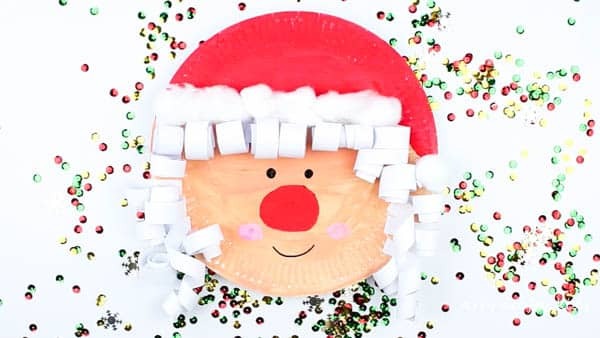 Mrs. Claus, with her luscious paper locks and adorable shiny red nose, is perfectly paired with our Paper Plate Santa, whom also models a gorgeous set of ringlets. This craft is super easy and can be adapted to suit a broad age group. Little Hands may prefer straight paper locks, while older children can challenge and work their fine motor skills by curling paper to create curls and ringlets. This post contains affiliate links to recommended products. Arty Crafty Kids will be compensated a few pennies for every purchase made via these links at NO extra cost to you! 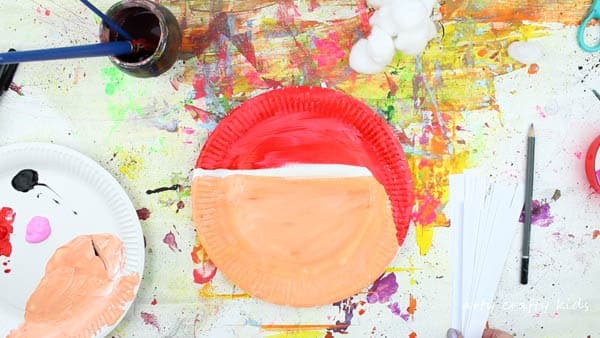 Step 1: Mix the paints to create the desired skin tone then paint the paper plate as shown in the image above. Step 2: Cut a piece of white paper into multiple strips (between 1-2cm wide) and roll each individual peice around a pencil to make the paper curl. For thick tight curls, avoid unraveling the paper and simply slide it carefully off the pencil. Step 3: Using PVA glue, attach the curled paper along the gap between the hat and face. 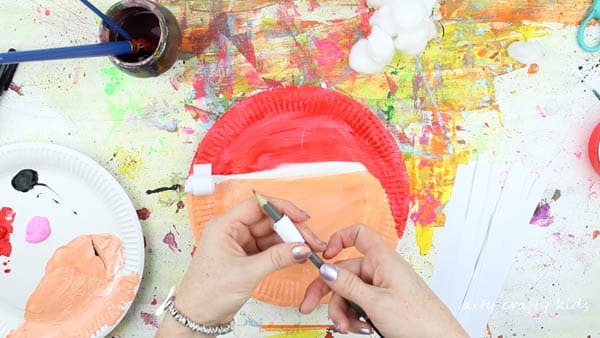 Add some extended ringlet curls around the edge of the paper plate to create hair. Step 4: Add a big red nose, a pair of eyes, a smile and rosy cheeks using paint and a black sharpie pen. 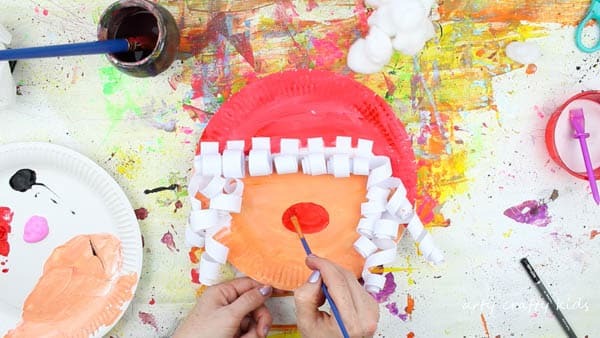 Step 5: Finish the Paper Plate Mrs Claus Christmas Craft by adding a row of cotton wall balls along the paper fringe and at another single cotton ball at the tip of the festive hat. 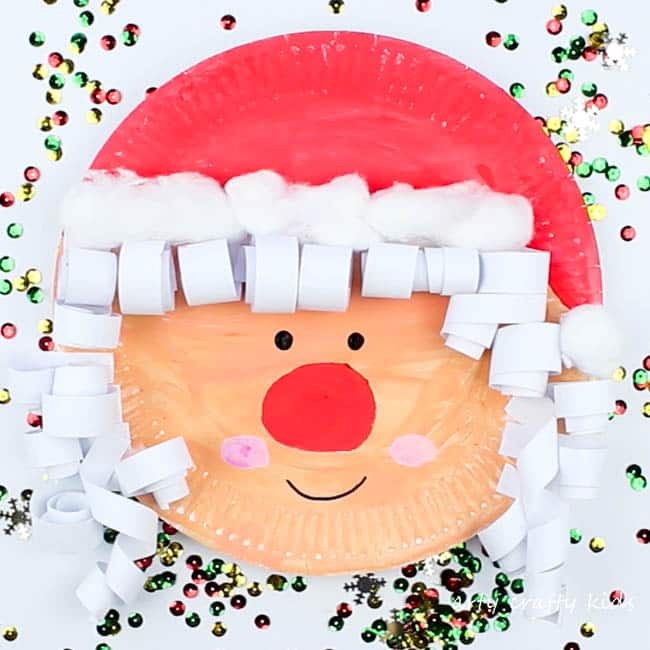 Paper Plate Mrs Claus Christmas Craft! For more ideas this Christmas, take a look at our adorable Paper Plate Elves, Paper Plate Rudolph and of course the big man himself, Santa!